Nugget is totally obsessed with shoes, in fact, he’s actually more in love with shoes than I am and believe me, that’s saying something! He wants to wear them constantly. He’ll sleep in them, carry them around and god help you, should you try to remove them. Now, we’re talking one specific pair of shoes here which would be fine had he not vastly outgrown them! I even tried to fool him with exactly the same model in the correct size. But, such a monumental tantrum ensued (and, predictably, in front of a lovely couple whose children were behaving like angels) that I decided to throw in the towel and come home. So, as I sat at home, feeling a little defeated and imagining Nugget soon to be bursting out of his shoes. I devised a plan! We would make (other) shoes so totally exciting that he simply wouldn’t be able to resist. I began with a pair of Bam Bam’s first pair of slippers, which were now conveniently just the right size. After a few days of singing and dancing and celebrating just how amazing these slippers were, it finally worked…. Off came his little blue shoes and on went the little red slippers, yay! However, I clearly hadn’t thought my plan out to the conclusion. Since I now have a child who will happily wear his little red slippers but should I wish us to leave the house, outdoor shoes are complete no go! I should have just stuck with the small shoes! A while ago, I enjoyed a lovely meal at a country pub on our way back from Hampshire. 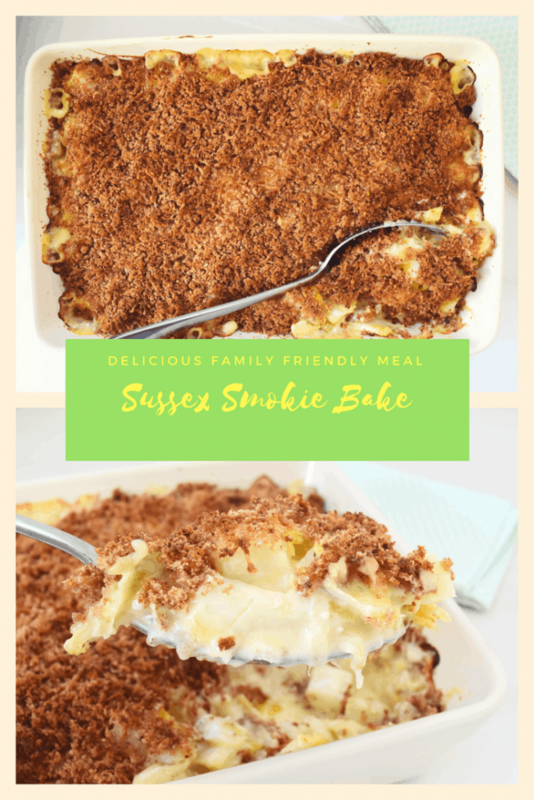 I wanted to give Sussex Smokie a go since it was a locally created dish and sounded fab! It really was amazing and at the end I longed for more of it. I really wanted to turn it into a main dish. So, that’s exactly what I’ve done and man, it’s so good! 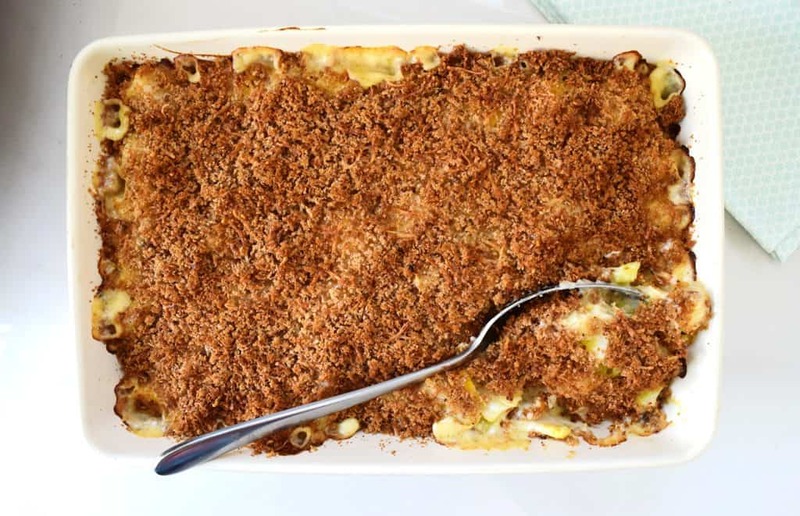 Adding potatoes and crispy crunchy topping, its like a simple fish pie. By serving it with steamed vegetables and some fresh bread and you’ll have yourself a delicious, comforting and family friendly meal. Nugget Loved it, polishing off a huge bowl whilst wearing his trusty little red slippers! Try making your own fish fingers now. Peel and chop the potatoes into cubes, place in a pan and cover with water, bring to the boil and cook for a few minutes until the potatoes begin to soften. Place the milk, cream and bay leaf into a pan and gently heat over a low flame. Add the haddock and poach until soft. Whilst the fish is poaching, finely chop the leek and onion and fry with 30g of the butter until soft. Remove the fish from the milk and put to one side. Discard the bay leaf. In a separate pan, mix the flour and the rest of the butter to make a paste. Add a little of the milk to the paste and mix until combined. Slowly add the rest of the milk until it becomes thick and without lumps. Add the wine and 100g of the cheddar and mix thorough until the cheese has melted. 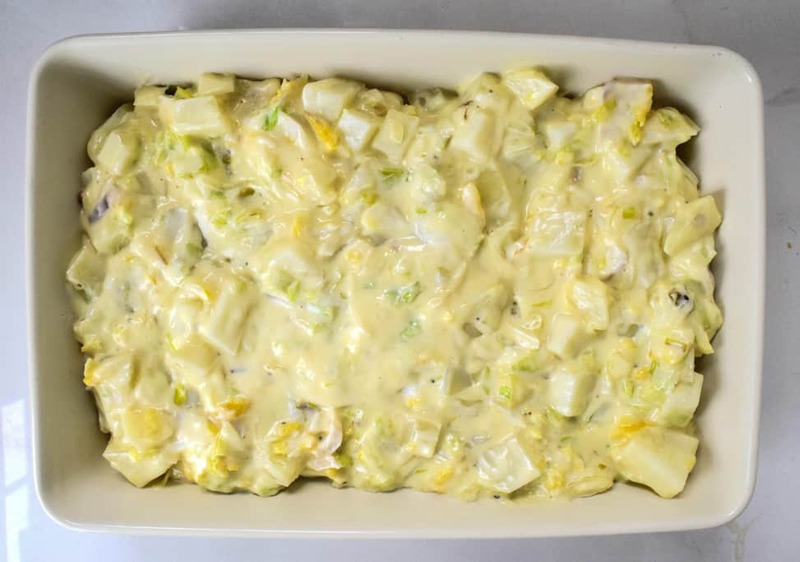 Flake in the haddock and add the potatoes, leek and onion. Mix through and pour into an oven proof dish. 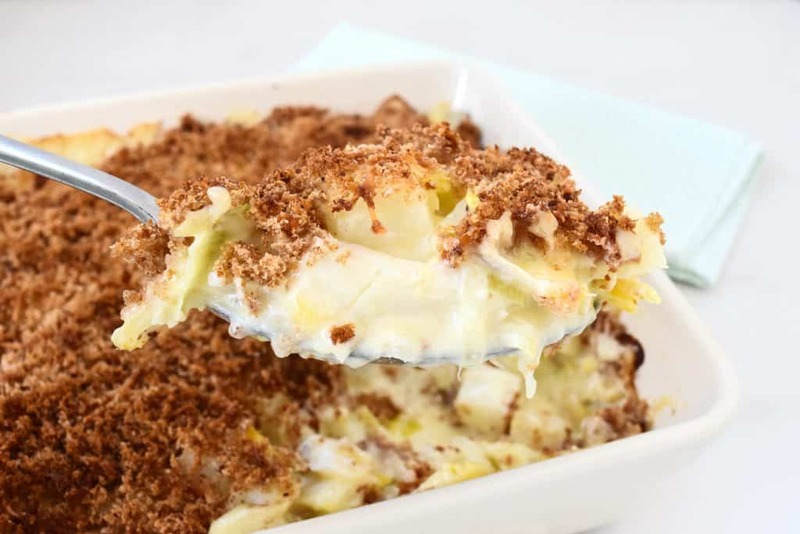 Combine the breadcrumbs with the rest of the cheese and sprinkle over the top. 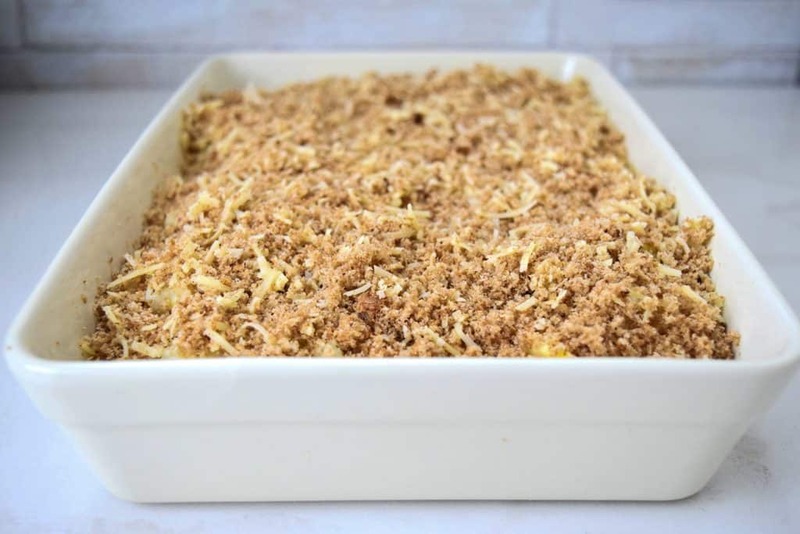 Place in a preheated oven at 200 (180oc fan assisted) for 30-40 minutes until the breadcrumbs turn golden and crunchy.